Answer: Begin with two initial steps to determine the best course of action for your individual goals. Firstly, consider enlisting assistance from a Professional Fitness Trainer in the beginning, as s/he can help you create good habits with proper form and technique, while avoiding injury. 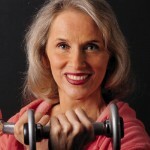 Secondly, look into local gyms or community centers, as they may offer group exercise classes that involve weights. Both of these initial steps will help you learn the how-to’s of strength training to then safely and effectively transfer these principles to a home workout. Purchase 2-3 sets of dumbbells at different weights. A good starting selection is 3, 5, and 8 lb weights. Remember that water bottles and soup cans are also good light weights to start. Invest in a strength training DVD. Or research if your cable company provides on demand fitness shows for guidance as to the best exercise selection. Be mindful of proper footwear. Be sure to wear athletic shoes when lifting weights to help your body maintain stability and to protect your feet in case one of the dumbbells is dropped. Hydrate. Have water on hand. Hydrate before, during, and after your strength workout. Always warm up prior to your strength training workout. 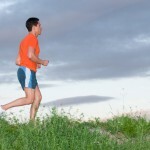 An appropriate warm up consists of walking, jogging, or going up and down the stairs. Once you break into a light sweat, you are sufficiently warm. Keep it simple. Remember to keep the exercises simple at first and take a day off (a rest day) after completing a weights session. Your muscles will need a day to recover. One this day off (or even the day after) you might experience delayed onset muscle soreness (DOMS.) This is normal and means your muscles are healing. 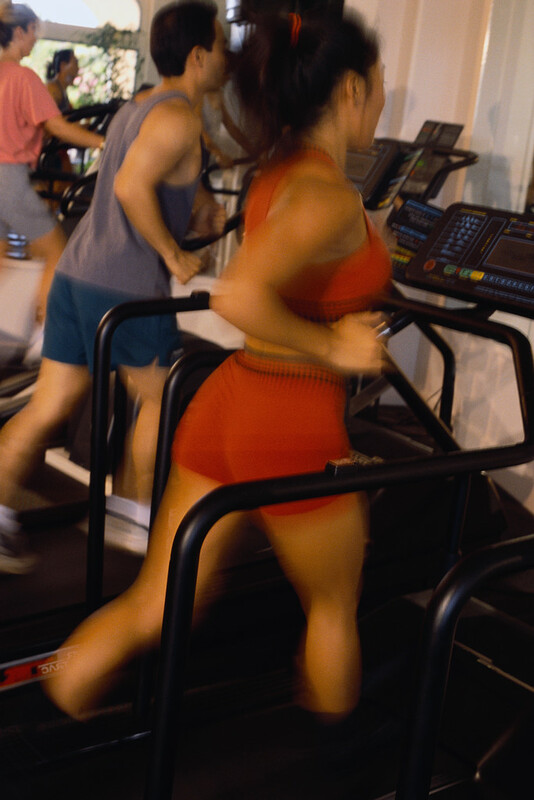 It is perfectly fine to perform cardio on your rest days. London-based personal trainer Mollie Millington may be reached at www.ptmollie.com, as well as via @PTMollie on Twitter. 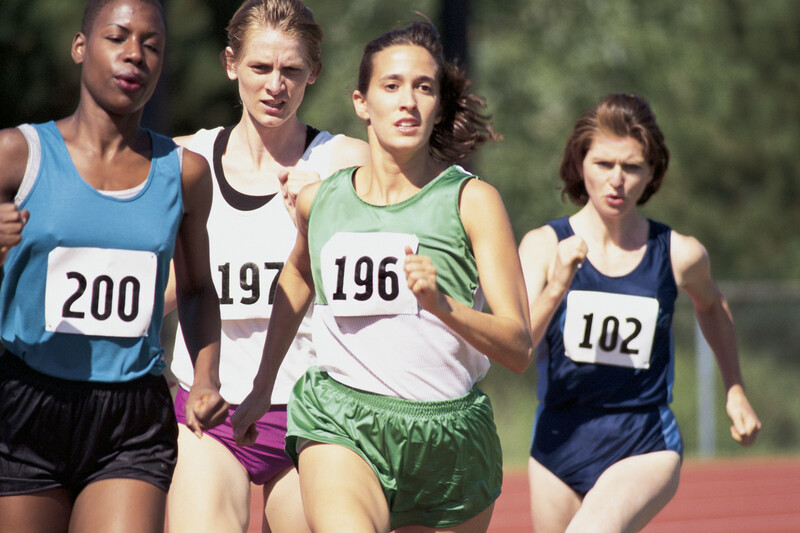 Answer: Too many times, runners think that they should only focus on running to improve in their sport. This couldn’t be further from the truth. As a beginner in moderate physical condition, running a 5K, you should run at least three times per week and strength train twice per week. 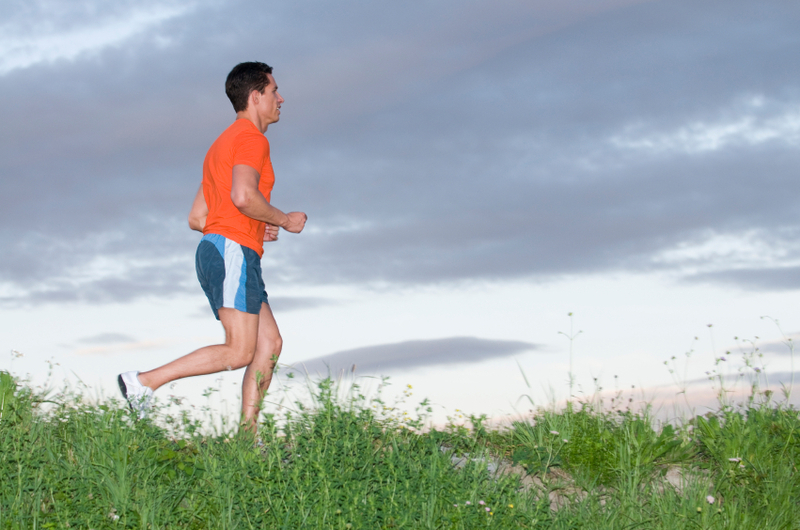 Here are a few great exercises that will improve your running. Place Stability Ball between your lower back and a wall. Lean against the ball with your feet firmly planted about 12” in front of you. Lower your body, bending at the hip and knees and perform a squat. Don’t exceed 90 degrees at the knee. Keeping the weight in your heels, straighten legs and return back to the starting position. Do 3 sets of 15 reps.
On the Smith Machine, set the bar to two or three feet above ground. Lie on your back and grab the bar, palms facing you. Keep your body straight, elbows against your sides as you pull your chest toward the bar. Bend your knees for an easier lift. Do three sets of 10 to 15. With your right leg, lunge forward about three feet until your right thigh is parallel to the ground and your left knee is nearly touching the ground. Pause momentarily and then repeat the forward motion with your left leg. Lunge forward for 15 reps and turn around and lunge back for 15 reps. Do three sets of 15 on each leg. Do 3 sets of 12-15 reps.
On your hands and knees, raise up your left arm and right leg, parallel to the floor. Keep your back and neck straight, stomach pulled in during the entire range of motion. Hold for a count of 1, and then change sides. Do 3 sets of 12 reps on each side. From a push-up position, drop to your forearms, keeping your legs straight and your stomach pulled in. Hold for 30 seconds. Transition into a side plank, placing your top hand behind your head. Keeping abs tight and hips lifted off the floor, bring your top elbow toward the ground. Do five repetitions on each side. Do three sets. We all know that exercise is good for us and generally why (helps us lose and maintain weight, keep our heart healthy, beats stress and feels good). But what happens inside the body that makes exercise so healthy? Why do I have to work hard enough to breathe heavy in order to lose weight? What is the right amount of time to work out in order to lose weight? The answer depends on how hard you are willing and able to work. The latest guidelines suggest that people exercise for 150 minutes (2.5 hours) per week at moderate intensity(able to talk but not converse.) There are many ways to accumulate 150 minutes of exercise each week –all 150 minutes at once on one day (not recommended for most), 2 days of 60 minutes and 1 of 30 minutes, 5 days of 30 minutes each, etc. However, for weight loss you need to work a little harder and/or longer. You must do enough exercise, not only to burn calories, but to burn off the excess calories stored in fat. What that means is that you must perform cardiovascular exercise where you are breathing hard (but can still say a phrase or two) a minimum of 5 times a week for a minimum of 30 minutes each time. If you are just starting out or have any medical issues, fitness professionals recommend obtaining a doctor’s clearance before beginning. 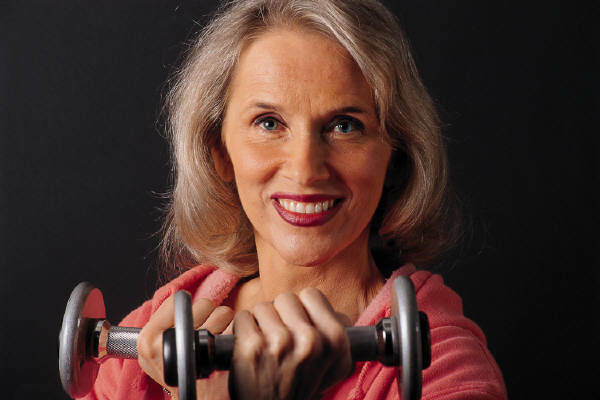 Also, consider opting for exercising for 45 to 60 minutes 5 days a week at a lower intensity. Choose activities that you enjoy and varying the exercise from time to time, such as walking one day and maybe biking another. Keep in mind, that whatever you choose, different activities will burn different amounts of calories in the same time frame. How does my body actually lose weight? It is easy and correct to say that weight loss is the result of eating fewer calories than you burn, however for most of us trying to lose weight, it does not feel that simple. Be clear if you want to lose weight or lose a size in clothing. It is possible to lose a size and not lose any weight at all, or even gain some weight. Muscle takes up less space in the body for the same weight than fat does. The body actually burns only calories when you exercise. Where it gets those calories from depends how much you eat. If you ate a lot of calories, then it will burn the calories contained in blood glucose, and glycogen (stored glucose in the muscles.) Our bodies are efficient and will get energy in the easiest way possible using the metabolic path with the least amount of steps to turn calories into energy first. After approximately 20 minutes of exercise, the body will start to burn calories stored in fat. However, if you overeat, those fat cells will not shrink when the calories stored in them are burned. They will store the new excess calories. That is why you must control the amount of calories you consume. Think about portion control, and normal portions are generally 3 to 4 times smaller than seen on an American plate. Use small plates! By Mary Miriani; BA Exercise Science; ACSM Health/Fitness Specialist. Contact her via email, mary@miriani.com. Question: What exercises can I do while my kids are playing at the park? –Bonnie in OH. Do a circuit-style workout consisting of six exercises. Each exercise should be done for 30 seconds or 15 reps each. After completing one exercise, move right into the next exercise without rest. After all six exercises are complete, take a 60 second rest. Beginners should stop the workout after one circuit and move right into the cool down. Progress to performing three circuits of all six exercises for a 30 Minute Park Workout. 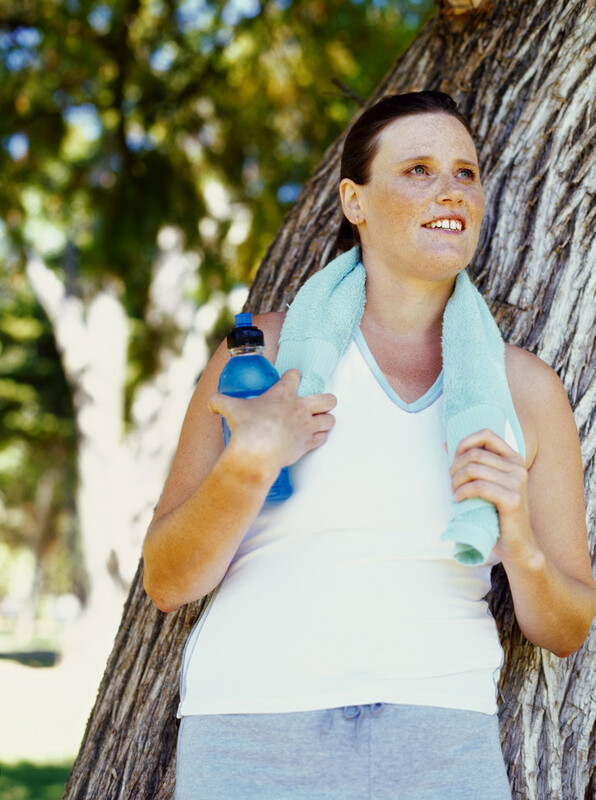 Start warming up your muscles by taking a 5 minute walk or light jog around the park. Find a platform that is about waist high, for example a step on the jungle gym. Place your hands about shoulder width apart on the platform. Keeping the back flat, core tight and hips down, perform a pushup. Using a bleacher or a bench, step up on to it with your left foot. Use and up, up, down, down cadence. After 30 seconds, switch and step up starting with your right leg. To get into the plank position, start on elbows and knees, locking hands together. Straighten legs and raise your body so that you’re supported by the balls of your feet, with feet hip-distance apart. Face the ground, being careful not to arch your back or lift your hips. With your right leg, lunge forward about three feet until your right thigh is parallel to the ground and your left knee is nearly touching the ground. Pause momentarily and then repeat the forward motion with your left leg. Lunge forward for 30 seconds and turn around and lunge back the way you came. To make this exercise harder, try doing the walking lunges up a hill. To do the bench dip, go back to your bleacher or park bench and have a seat. Grab the edge of the bench keeping your hands close to your hips. Walk your feet forward slightly until your hips are off of the platform and your knees are at a 90 degree angle. Bending your shoulders and elbows, drop your hips straight down towards the floor about six inches. Push yourself back up. Hang from the high monkey bars, arms bent or straight. Pull your knees up towards your chest and then lower them back to your starting position. Be sure to keep the movement slow and controlled. Remember – this is an ab exercise, so your abs should be doing the work, not the legs. Try not to use the momentum and swing the legs. Walk around the park for 5 minutes at a slow pace to cool down. Finish off the workout by stretching the muscles you just worked. Being short on time is NEVER a good excuse not to get in a workout. Case and point – Tabatas. Tabatas are a 4 minute version of High Intensity Interval Training (HIIT). A Tabata “cycle” means working at a hard intensity for 20 seconds and the resting or working at a light intensity for 10 seconds. Repeat this 20 seconds “work”, 10 seconds “rest” protocol for a total of 8 cycles and the workout is complete! Tabatas training can be used during cardio or strength training routines. Here are 2 great examples of Tabatas that may be completed in 10 minutes – one may be done in the morning and one may be done in the evening. 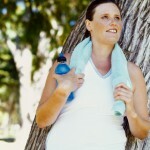 Cardio Tabata workouts may be accomplished outdoors, as well as on any piece of cardio equipment. For an effective workout, the 20 second-working phase should be at an intense level where it’d be difficult to sustain this level for longer than 20 seconds. 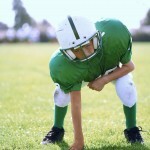 Question: How do I prevent my teen from getting discouraged when not making the sports team at school? How do I help him build self-confidence? –Marc in Minneapolis, MN. We, as parents, want our children to grow up healthy, happy and self-confident. It is easy to determine what steps we can take to foster good physical health: proper nutrition, regular medical exams, regular exercise, etc. However, fostering happiness and self confidence can be more elusive. Valuing our children as individuals, communicating our love for them, and letting them feel truly heard are some of the many components to fostering happiness in our children. Fostering self-confidence, however takes effort, awareness and sensitivity in specific areas. Acknowledge Self Confidence as a Learned Attribute. Self-confidence is, to some degree, a learned trait. That is to say that we generally start as teenagers with some degree of uncertainty. When we attempt an accomplishment, it is our success or failure, as well as the feedback that comes to us as a result that determines whether our level of self-confidence is bolstered or diminished. Maintain Momentum of Small Successes. For example, if a third grade boy tries out for junior football and is chosen for the team, the boy will learn that he is strong and capable in this context. He will subsequently interact with other youth who also consider themselves strong and capable in the sport of football. These youngsters become friends which makes the boy feel good that others enjoy his company. This will further reinforce the concept that he is a good person and worthy of friends. As his football prowess grows, so will his assessment of his own capability. Thus, by participating in football, his self-esteem has been bolstered in athletic as well as social contexts. Be Context-Specific when Offering Feedback. Just because the desired accomplishment didn’t come to fruition, doesn’t mean self confidence should lower. For example, if this same boy tries out for soccer and is not chosen for the team, the feedback he receives as a result of this perceived failure will determine the effect of this event on his level of self-confidence. If he receives feedback that he did very well, however he was just a not as fast of a runner than the boys that were chosen for the soccer team, the boy will understand that his not making the team is performance based. Choosing feedback that is performance based, instead of personally-based in most effective in building self confidence. Watch your Words. Let’s follow the same example of the boy who did not make the soccer team. Maybe he was one of the youngest boys trying out, so therefore he may feel encouraged (he did well for his size and age), which bolsters his self-confidence. Conversely however, what if he returns home after try outs to report that he did not make the team and his parent provides the following critical in nature feedback, “you performed very poorly. What’s the matter with you?” The boy then internalizes this criticism as a personal innate flaw which then translates into diminishing his self-esteem. Encourage Perseverance and Practice. Use small frequent experiences, regardless of the outcome to reward children’s participation and therefore begin lying down the building blocks of self-confidence. Continue trying-out, continue learning new skills and sports and continue to encourage him to make new friends and expand his social network. Top 3 Fitness Questions Answered! Should I always push to my limit when I’m doing cardio? Actually doing this could help you hold on to fat rather than burn it. Research tells us that training around 75% of our MHR is best for the body to use its fat as fuel as opposed to its sugars. If you work in your anaerobic zone every time you do cardio you’re body will hold onto its fat. Carbohydrates fuel anaerobic activity (85% and higher), whereas fat fuels aerobic activity (70-80%). So give yourself permission to back off and enjoy the activity more, you should feel energized after your session, not ready for a nap and craving carbs, which will in turn sabotage your workout. Will doing abs give me a flat stomach? Not exactly. Having a flat stomach is more about body composition (the ratio of body fat to lean mass) than it is about the size of your abdominal muscles. If you want to have lean abs, then up your cardio and weight training in order to burn more fat while also reducing your caloric intake. It has been said that weight loss is 80% what you eat and 20% exercise. For best results, address your diet and do core training so when your fat goes away you have the sculpted abs you’d like. Can muscle turn into fat? No it can’t, in fact what’s actually happening is when you become less active your muscles atrophy (shrink). When this happens your body’s metabolism slows down so you do not burn as many calories therefore you start to add new fat. It’s not muscle turning into fat, but rather muscle wasting and fat being put in its place. Activity and a proper diet full of foods that provide fuel are necessary in order to look and feel your best, there’s just no way around that. Life can be a lot of fun when you have the energy and functional ability to enjoy it! Question: I can’t stay focused. Seems I take one step forward and two steps back. How do I know if I am I sabotaging my fitness goals? –Cassie, PA.
Be aware. Awareness provides the opportunity to think about actions, and it breaks the automatic cycle of the self-sabotaging behaviors. So the first step is to recognize behavior as self-sabotage. Be honest. Once you have the awareness about your-self sabotaging behavior dig a little deeper. Ask yourself: What is this behavior sabotaging? Is it my effectiveness at work? A healthy lifestyle? Write down the results of your sabotaging behavior and be as specific as you can, don’t hold back, be brutally honest! So if you end up watching TV till late at night, which makes you get up too late for your daily exercise, which is a vital part of your goal to release 10 pounds. You could say that TV is unhealthy or … more brutally honest … watching TV makes me fat! Take Action. Now that you know how your self-sabotaging behavior is keeping you from realizing the (healthy) life you want to live, it’s time to take action toward changing your life! Write down your brutally honest realizations on several post-it notes and post them in the places you will likely be when your destructive self-sabotaging behavior takes place (on your TV!) There is no better way than reminding yourself over and over again of the negative results your self-sabotaging behavior creates, to make sure you do not fall back into your old patterns. Replace the old behavior with new empowering behavior. When you have completed this step it’s time to replace your self-sabotaging behavior with empowering habits. Do you have a clear picture of what you want to create? What behavior will support that? Make it tangible, write it down, and make sure you put it in your calendar. Then create reminders for yourself through-out your house (car, office etc) about the positive new habits you want to create. Niels Johnson-Lameijer is an internationally certified Executive Coach and Life Mastery Coach. He guides companies and passionate individuals toward raising productivity and realizing the life of their dreams. For more information visit www.nielsjl.com or email Niels at niels@nielsjl.com or call 805.617.3513. Answer: Carrots contain high amounts of natural vitamin A, also known as beta-carotene. This substance is found in high concentration in some of the nerve tissue of the eye, especially the retinal cells known as “rods.” Rods provide vision in the dark. It has been shown that a vitamin A deficiency may be linked to “night blindness.” However, your vision in dim light may be poor for other reasons. Eating foods that are high in vitamins A, E, C, and Lutein will definitely lower your risk of losing vision due to aging conditions of the eyes, such as macular degeneration, glaucoma and cataracts. 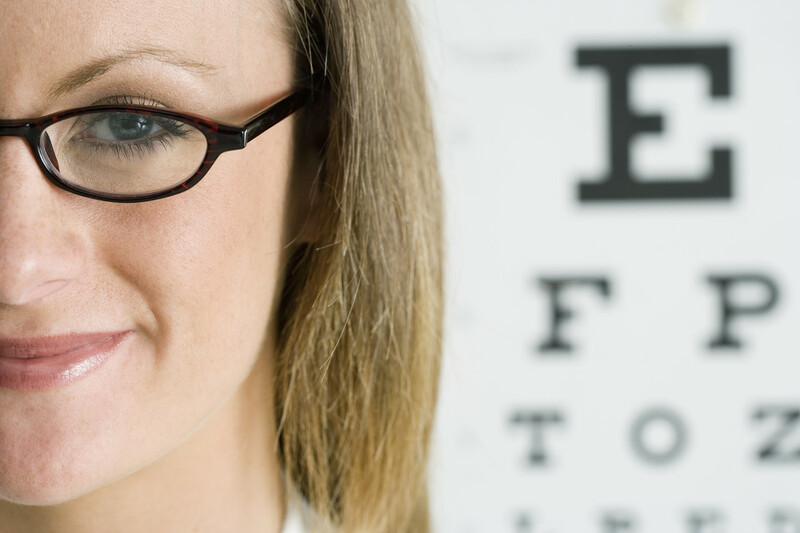 The best foods to aid vision are dark green and brightly colored vegetables, as well as fruits, garlic and onions. Eating fatty fish (such as salmon) or grass-fed beef, and/or supplementing with a pure, bio-available Omega 3 that has at least 200 mg of DHA and 300 mg of EPA is another sure way to keep eyes healthy. Stay away from processed foods, don’t smoke, and drink plenty of water to keep your eyes and your whole body healthy! 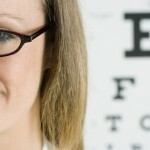 By Dr. Stephanie Burris of Optometry Care Santa Barbara. Lunge with Overhead Press. Stand with your right foot about three feet in front of your left. Hold a weight in each hand in front of your body about chest level, with your elbows bent. Bend your left knee toward the floor, lowering your body down. Upon raising back up lift both weights overhead. Change legs and perform with your left foot forward. Ball Crunch. Sit on a stability ball, and walk out so the ball is under your low back and you’re lying flat on top of the ball. Keeping your feet flat on the floor and your knees bent, curl your torso up about half way. Return to your starting position. Ball Squat Curl. Hold a stability ball behind your low back against the wall. Hold a weight in each hand. Bend from your knees and hips, and sit back into a squat. As you stand back up, bend your elbows and perform a bicep curl.